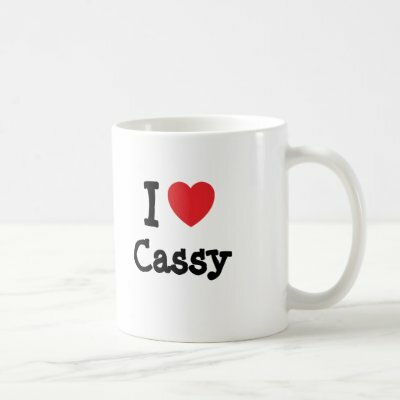 When given the task of defining myself and who I am as a journalist and a blogger I came up with one very simple word, a word that perfectly combines all the many things that make up who I am: Cassy. My name has exceptional meaning to me. It is all that I am. I am Cassy. Some days I am creative and inspired and others I am completely irrational and out of control. I am forever changing and my mood is certainly not the most constant thing about me, but the one thing that will always remain the same is who I am, Cassy. My dreams are what motivate me the most, especially those of becoming a successful director and TV journalist. Working behind the camera is what I feel I would be best at. I think that I could best inform and communicate with the public and fulfil my role as a journalist through the production of television and the many aspects that it involves. Without having these dreams, I would be nobody, the name Cassy would not mean anything to anyone and – perhaps more importantly – it would mean nothing to me. Motivation has always been something I have battled to maintain in my work ethic. However, recently I adopted a new outlook that I feel helps me more than any form of positive thinking or cheesy mantra ever has. I read a poem entitled ‘You Can Be Whatever You Want to Be’ by Donna Levine. After internalising the somewhat broad point she makes about each person having the potential to be great, I realised what it was about this poem that struck a chord inside me most: “each day, take one step towards your dream”. Often I feel like my dreams, even though they are sometimes the only thing that keeps me going, are just far too big and out of reach. But I have now realised that as long as I take one step, no matter how small it may be, each and every day towards my dream, I will eventually achieve all that I want to. No matter how small this step may be, it is never insignificant. With this in mind I am now able to see every assignment, lecture, essay, tutorial or rehearsal as me taking one step closer to achieving my dream. Even when the stress and responsibility becomes overwhelming and all I want to do in crumble into a heap of tears, I hold onto this idea and somehow I make it through. Sometimes even getting out of bed in the morning is a massive struggle, (but who would Cassy be without these never-ending battles) however, these days it is getting easier to wake up and get going with my day because, as soon as I roll out of my duvet and rub the sleep from my eyes, I have taken yet another small step towards my dream.